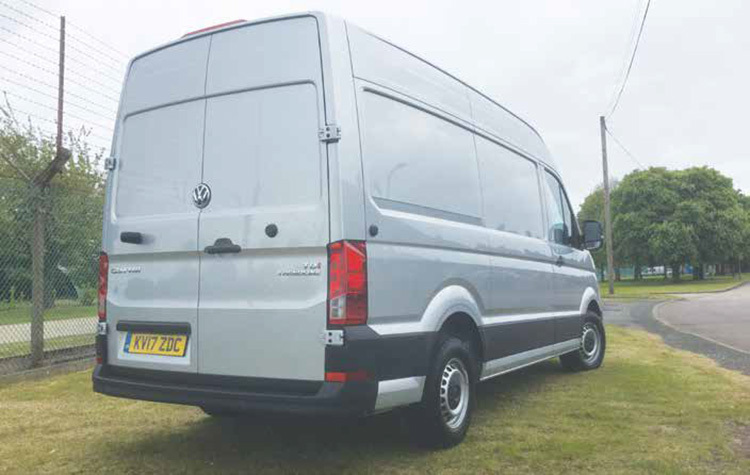 Volkswagen Crafter Trendline MWB 2.0 TDI is it really be THAT good? 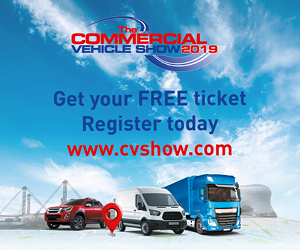 The Volkswagen Crafter is the biggest new thing to hit UK shores since the launch of the last Ford Transit in 2014 – and even before its official on sale date, it was hoovering up awards across Europe. We had already driven left-hand drive versions in Spain and came back eulogising about the merits of this fresh contender – but the big question is: would right-hand drive versions on Britain’s wonky old roads still be as impressive? In our book, the Crafter takes the heavy panel van sector to an even higher level in its new format and the opposition now have an awful lot of catching up to do. The answer is a resounding yes – and after spending a week with the MWB 140PS variant, we can well see why it was voted Van of the Year at this year’s Trade Van Driver awards. The old Crafter came off the same production line as the Mercedes-Benz Sprinter, albeit with its own engines, and the Merc variety is generally acknowledged as the best in class by the LCV cognoscenti. 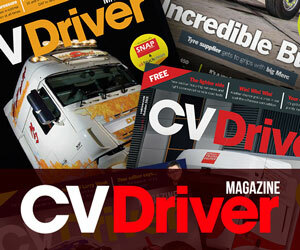 But in our book, the Crafter takes the heavy panel van sector to an even higher level in its new format. Our test vehicle is a ‘middle-of-the-roadie’ in all senses of the term, as it is a medium wheelbase model, in the middle Trendline guise (above Startline and below Highline), with a 140PS engine which sits between its 102PS and 177PS brothers. Even in base guise, the Crafter gets an awesome amount of standard goodies. Our van featured the usual array of ABS brakes and ESP that are legal requirements now, along with crosswind assist, a special driver’s seat with two-way lumbar support and armrest, cruise control with speed limiter, front assist with city emergency braking, electrically adjustable heated side mirrors, a wooden load floor and 270 degree opening doors. As extras our van was fitted with an overhead storage compartment at £156, climatic air-conditioning at £1,650 (are they having a laugh?! ), a navigation system at £840 and silver metallic paint at £1,284. We can safely assume from the above prices that no fleet buyers will order any of those items. 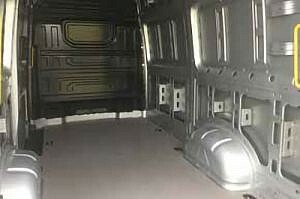 What our van didn’t have – and what I would have traded most of those extras for – was a set of reversing sensors. 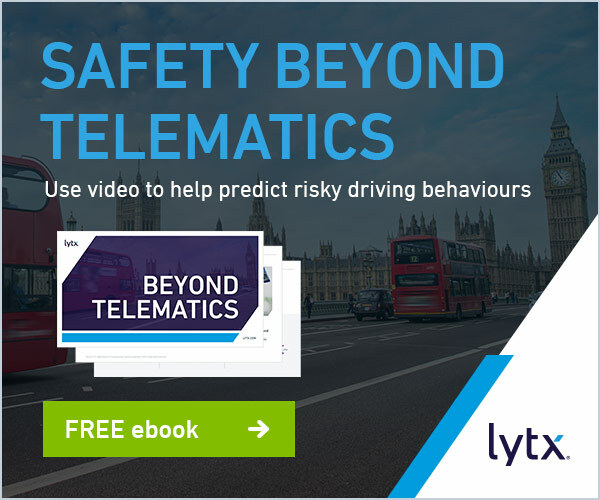 Regular readers will know by now that in our book, these sensors are an absolute must in any fleet manager’s armoury as they not only protect the van from damage but also ensure that passers-by will not be reversed into. Quite why the EU hasn’t made them a legal requirement by now is anyone’s guess. Under the bonnet goes VW’s tried and tested 2.0-litre four cylinder common rail diesel unit which has been upgraded from the old Crafter to comply with Euro 6 emissions standards. 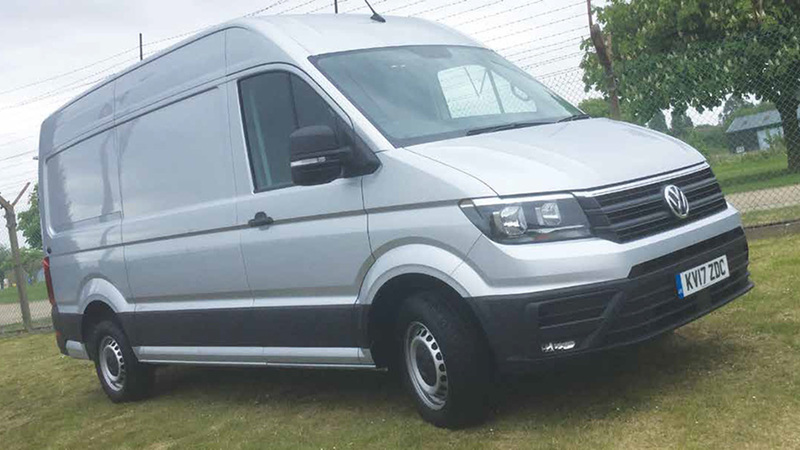 We reckon the 140PS on tap is just about right for this size of van, unless your business happens to be transporting feathers, while the 340Nm of torque is sufficient to put on a great display of grunt at low speeds. The combined fuel economy figure of 38.2mg is rather disappointing for a brand new van though. The rival Citroen Relay at a similar power out, for example, manages 45.6mpg. As with most German products the Crafter is all about functionality rather than just looking nice. Thus, when climbing aboard the cab for the first time, most drivers will be rather disappointed with what they see. The dash is rather mundane looking, especially after the dazzle and bling of the ones in the rival Ford Transit. But everything is in the right place and all the gadgets work well, so maybe we can forgive Volkswagen this little oversight in the style department. There are coffee cup holders in the correct places on top of the dash (two on each side for some curious reasons), two 12volt take-offs and an extra USB port up on top of the dash which means drivers who don’t get the optional sat-nav unit can plug in their own ones without having wires trailing all over the place. We did think that charging for the overhead shelf was a bit much though, as most of the rivals offer this handy little unit for free. The driver’s seat, however, is to die for – it’s a definite best in class which will see long distance drivers free from back twinges even after the most arduous journeys. In the back there’s room for 12.4 cubic metres of cargo and the 270 degree doors mean that they won’t be left sticking out in the road while the van is being unloaded. The non-slip floor is a great standard piece of kit too, while there are no fewer than 10 load-lashing eyes and even a grab handle at the rear of the van so operators can hoist themselves up easily. On the minus side, there is a only one rather small light to illuminate this cavernous rear end, which makes loading and unloading in the dark somewhat of a problem. It’s a problem that dogs many modern vans and we would have thought the various manufacturers would have solved it by now by adding some proper lighting. Such systems as are on offer are invariably added extras. Out on the road, this van is a sheer delight to drive. It’s quiet, smooth, powerful and impeccable on the bends. At the launch, Volkswagen made a lot of the new electromechanical steering system and it really does feel best in- class. It’s almost magically light for a van of this size, but still gives plenty of feel of what’s going on between the tyres and the road. Gear changes are so slick that they are attainable with one finger on the gear lever and the turning circle is best in class too, all helping to make this van’s driving experience as hassle-free as possible while being used on business, either round town or out on the motorway. 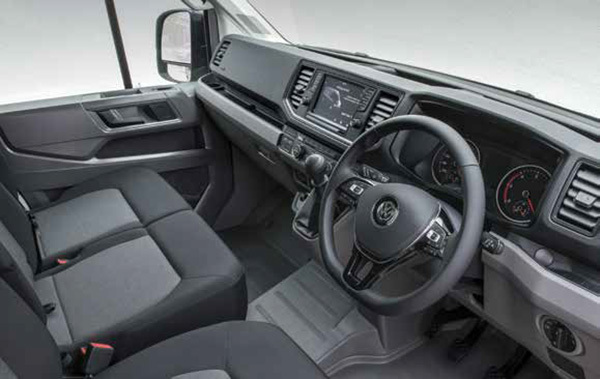 A superbly built van which will no doubt boost Volkswagen’s presence in the fleet market. We were, however, disappointed with the fuel economy figure and the eye-watering cost of some of the added extras.